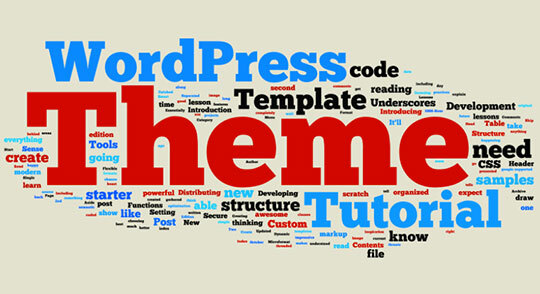 The prime advantage of using WordPress as your CMS is the widely available themes and plugins. By choosing your right combination of theme and plugins, you can build any kind of websites from any niche. The review and rating sites are such a niche which is quite popular now. In this article, I am sharing some premium WordPress review themes which come with the built-in rating system. Most of the themes I am mentioning are multipurpose themes. But, each of them can help you to create your desired review website with extensive built-in usability. Let’s start with the list. 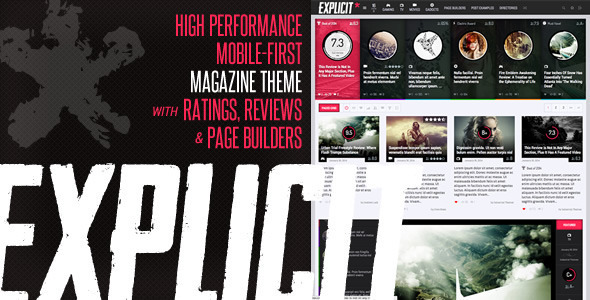 Explicit is a magazine type WordPress theme comes with the review and rating options. This particular theme is entirely compatible with both the WooCommerce and BuddyPress. It is highly super-fast, efficient, and it is a responsive theme enriched with lots of features. You can check the demo of Explicit here. It is listed under "WordPress" > "Themes". The author name is IndustrialThemes. The publisher is Envato. 2,160+ users are purchased this already. It was first get available on February 06, 2014. It was last get updated on October 07, 2017. Tags: Bootstrap, Flat, Grid, Retina, Buddypress, Infinite Loading, Gaming, Jquery, Magazine, Woocommerce, Ajax, Social, Responsive, Rating, Review. 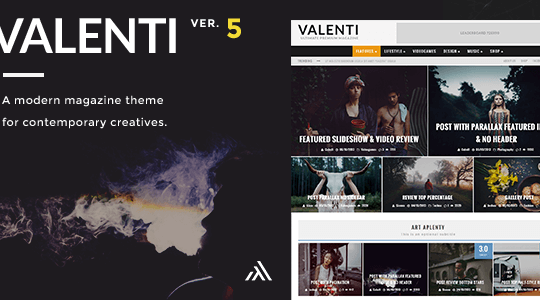 Valenti is a beautiful feature richer HD quality review and magazine theme. 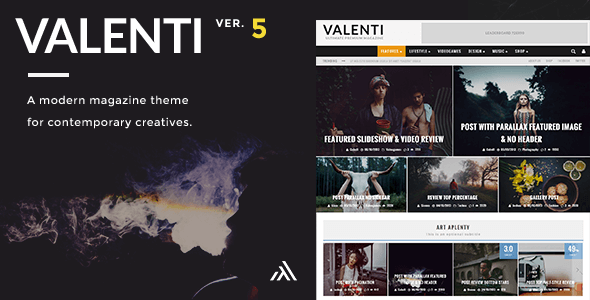 It is an entirely mobile friendly theme comes with exclusive Valenti drag & drop builder. Due to its robust and integrated reviews system and widgets, you can build a full-time review site. It also comes with the unique mega menu system, and it is compatible with WooCommerce, bbPress, and BuddyPress. You can check the educational resource blog of K12. This is a live example website currently using Valenti theme. It is listed under "WordPress" > "Themes". It is developed by Codetipi. The publisher name is Envato. 9,993+ users are purchased this already. It was first get available on October 19, 2013. It was last get upgraded on January 08, 2019. Tags: Magazine Theme, Rtl, News, Modern, Newspaper, Magazine, Clean, Rating, Review, Creative, Newspaper Theme, Review Theme, Fashion, News Theme, Music Theme. 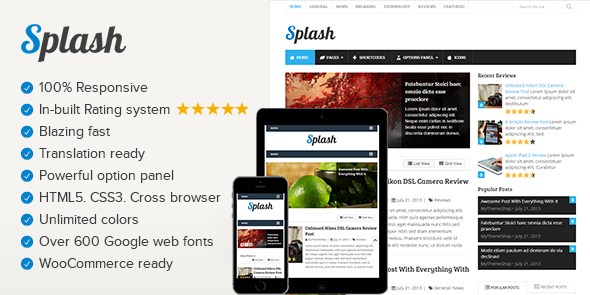 The Splash theme is an incredibly super-fast theme comes with almost every essential features and quality that may need to develop a high-quality site. 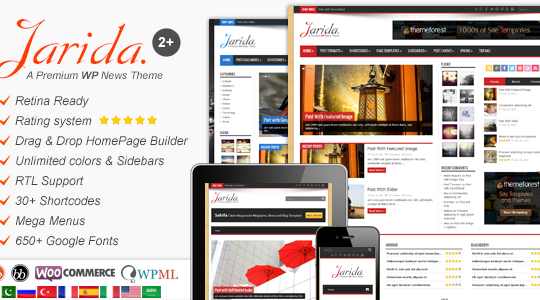 It is 100% responsive theme comes along with built-in review & rating system. You will get full WooCommerce support, comprehensive options panel, one click demo importer, more than 630 Google fonts, translation ready coding structure, full social media integration and much more. It is better to check a live example. A review website johnnreviews.com is using Splash theme on their site. Please have a look. 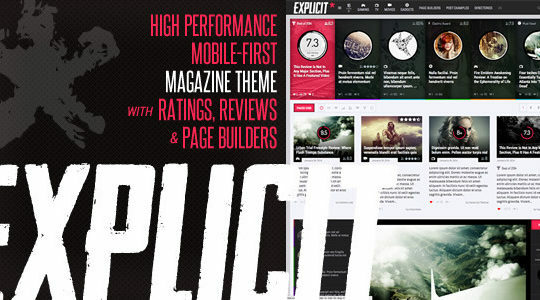 If you are looking for a clean, responsive magazine, news and blog theme then you are in the right place. 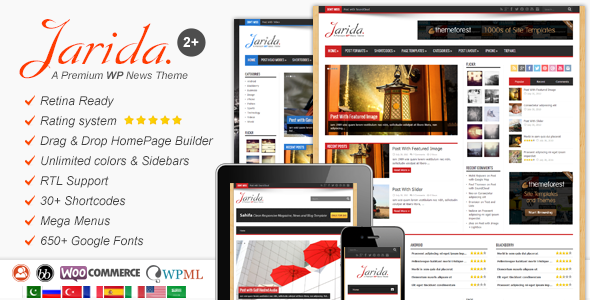 Although Jarida is compatible with WooCommerce, bbPress, and BuddyPress, it is best for a review website. It is a fully responsive theme where you are going to get everything to design your new review site. The site like ECADF, an Ethiopian news website is using Jarida on their website. Have a look. It is listed under "WordPress" > "Themes". It is developed by TieLabs. The publisher name is Envato. 7,971+ users are already purchased this. It was first get released on March 23, 2013. On April 15, 2018, it was last get upgraded. Tags: Soundcloud, Magazine, Responsive, Translation, News, Woocommerce, Google Web Fonts, Rtl, Slider, Reviews, Rating, Patterns, Shortcodes, Full Background, Widgets. All these premium WordPress themes mentioned above are quite useful and feature rich. They all are quite excellent and attractive too. Anyone can be used to create an excellent review website. Check the demo of each theme and choose the one that you find most suitable to your taste. 7 Stellar Examples to Effectively Implement Newsjacking for Online Marketing! Divi Vs. Avada – Which Premium WordPress Theme is the Best Choice?